With the release of Apple's iOS 5 for iPhone and iPad this fall, users will be able to set up their new AirPort Base Station or Time Capsule directly within the mobile operating system. 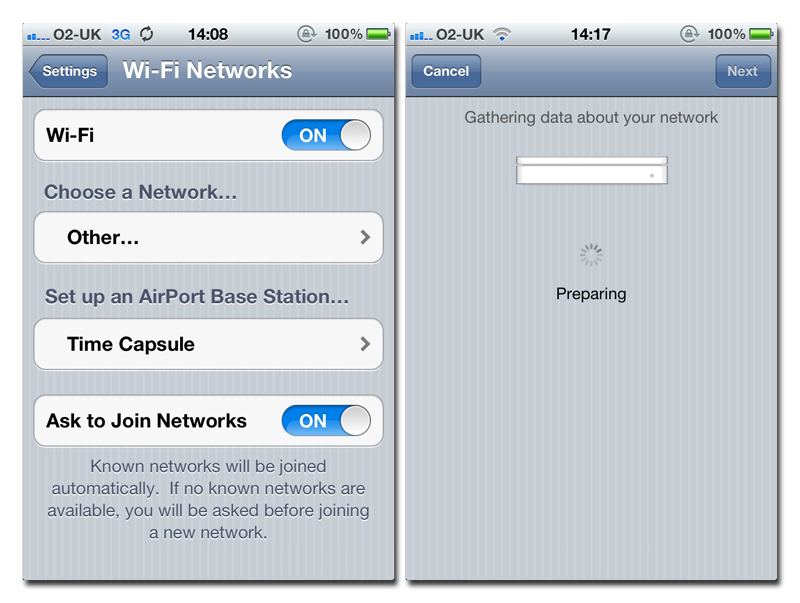 An iPhone running iOS 5 will automatically recognize AirPort Base Station hardware that needs to be set up, and users will be able to accomplish this task through the Wi-Fi Networks option in the Settings application. The new feature was discovered by an AppleInsider tipster, who sent along the included screenshots. 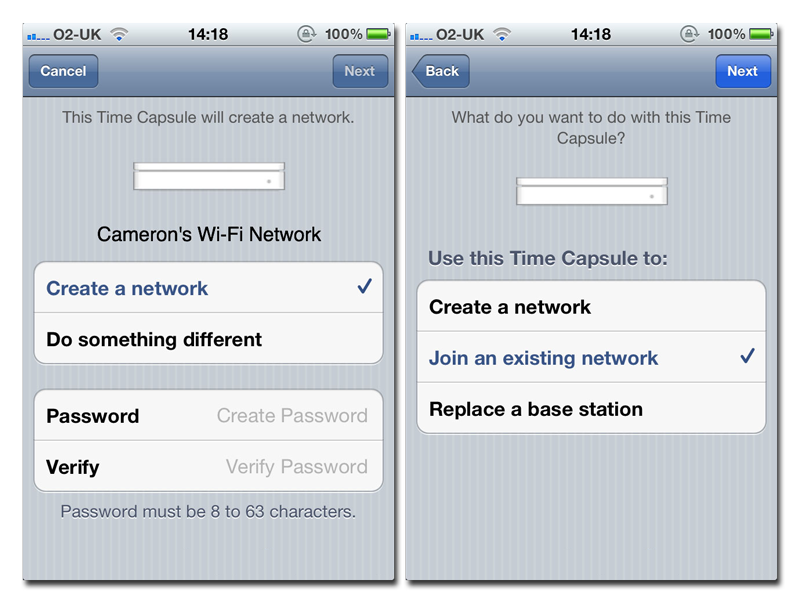 Under Wi-Fi Networks, a new option reads "Set up an AirPort Base Station..." In setting up a Time Capsule, users are given the option to create a Wi-Fi network, complete with password, or "Do something different." 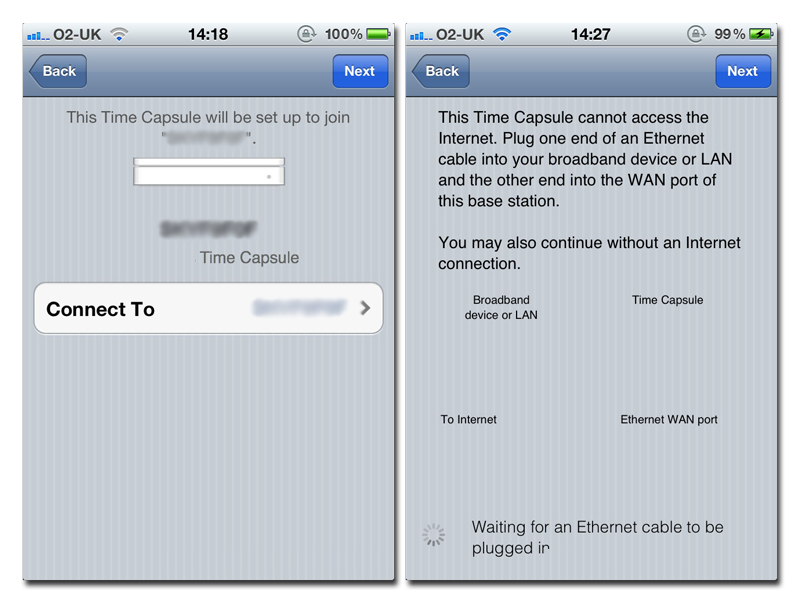 Selecting the latter option gives users the option to join an existing network, or to replace a base station. Users are also given appropriate error messages or details on how to fix any issues directly from the iOS Settings application. 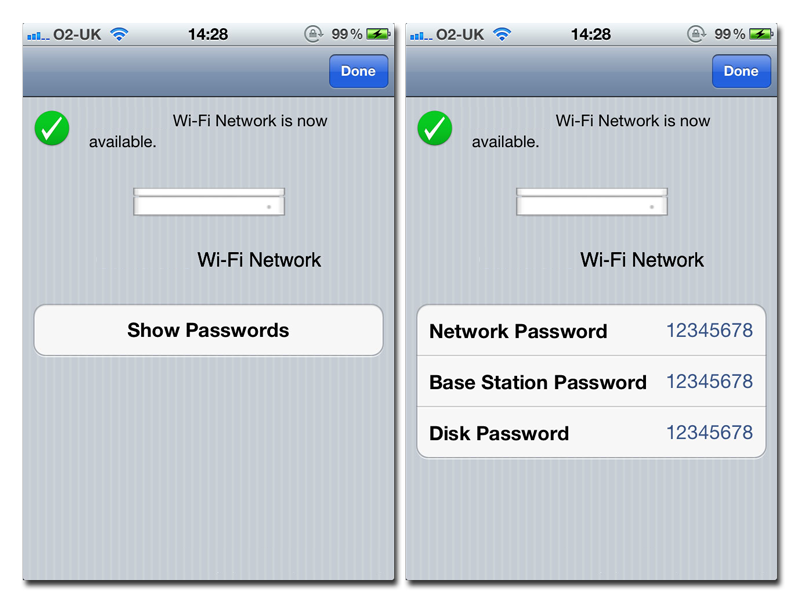 Upon setting up a Wi-Fi network, users can also select "Show Passwords," which will display any applicable network password, base station password and disk password so that users may save them for later. The ability to set up a Time Capsule or AirPort hardware with iOS 5 is yet another piece of Apple's PC-free philosophy that is a major component of the forthcoming mobile operating system upgrade. Using iCloud, users will be able to activate and set up their iOS device without tethering to a computer via USB. Apple will also be able to deliver software updates to devices running iOS 5 and later wirelessly, also without the need to connect to iTunes. Developers began testing this feature with iOS 5 beta 4, released last Friday. Apple also made efforts to cut the cord with improvements to the Calendar application found in iOS 5. When the software update arrives this fall, iPhone and iPad users will be able to add, rename and delete calendars directly from their device. Previously, these activities required tethering to a PC via USB.